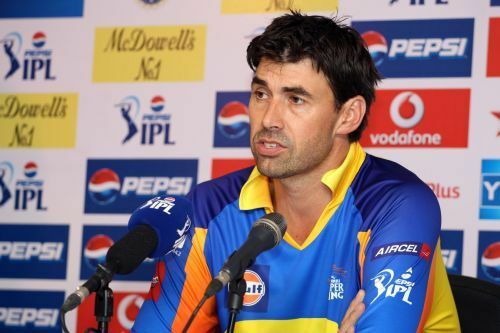 With the play-offs of the Indian Premier League shifted out of the city's MA Chidambaram Stadium, Chennai Super Kings coach Stephen Fleming says it will be a "disadvantage" playing away from home. "In Kolkata, we have done pretty well. Probably playing in Delhi and not in Chennai is disadvantage to us but you got to think positively about such things," Fleming said. Asked if the spinners would have crucial roles to play in Delhi and Kolkata, he said, "Compared to teams that have dominated at home, we have played well in away matches if you look at our success rate. "MS (Dhoni) has been doing a great job in picking the team for conditions in venues." "We want to play well against Bangalore in the last league match too as we know the importance of extra points. We were very close to do that last year too. It will be tough," Fleming told reporters. "It is a good performance after the last loss and we have bounced back well. It also pleases me the way our players are holding their nerves towards the business end. We look forward to semi finals," the Kiwi said. The top two finishers in the league table get two opportunities to make it to the finals of the IPL. Praising pacer Mohit Sharma for giving CSK early breakthroughs in sizeable runchase, Fleming said the best from the youngster is yet to come. "He (Mohit) is one of seven fast bowlers we bought. He has been outstanding and even today his performance has shown improvement. He has been doing well with Andy (Bichel). "He has got a big future. He keeps thing very simple. I do not think we have seen the best of him," he said. 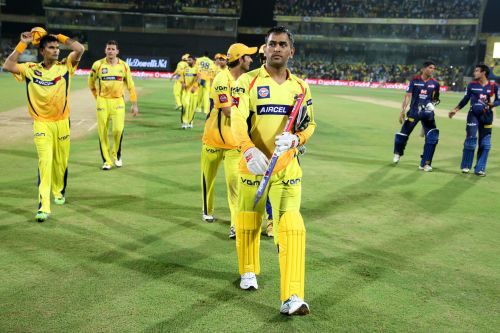 CSK skipper M S Dhoni, with an unbeaten half-century, was instrumental in taking his side to 168 for four in their last home game. "Dhoni has been very good for us. He is an outstanding finisher and we value that," he said. Fleming said the consistency in selecting players has helped the side gain a fan base. "The CSK enjoys being part of Chennai itself. The consistency of selection has been rewarded with the fan support. 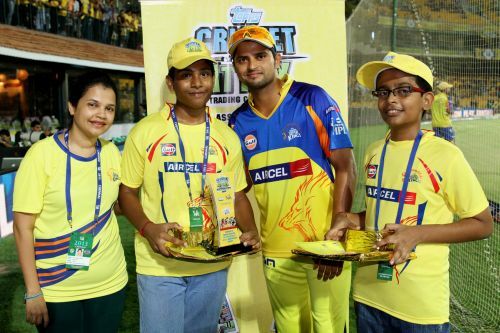 In Chennai, people love the cricket and not the CSK alone. "We have felt the difference between playing here and away matches. We are a bit surprised when we play outside," the coach said. Spinner R Ashwin had an impressive outing too as he bagged two for 19 in four overs. "I know there is change in the way he bowled and the style. The job he has been doing of one for 20 or one for 24 has not been as effective as we want. "He has huge amount of variations and he continues to grow them. We accept the fact that this season he has been little bit flat compared to other IPLs," he said.